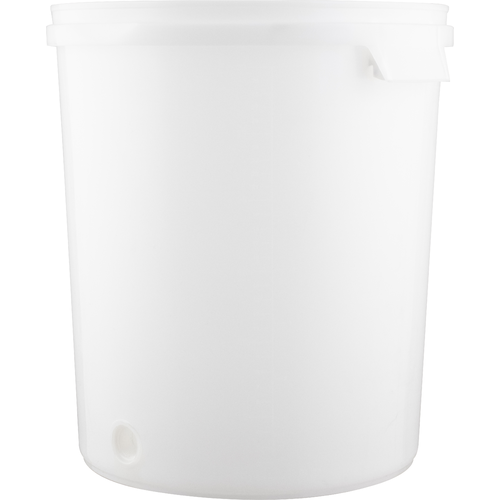 A 30L (7.9 gal) food-grade plastic bucket. Ideal for all fermentations, but especially ideal for wine kits, beers that tend to have a high krausen (hefe) and any fermentation that is slightly too large for your 6 gallon pail. These buckets come molded with a threaded hole for a spigot to screw into. Our FE346 spigot threads in perfectly and offers a sediment block nut. 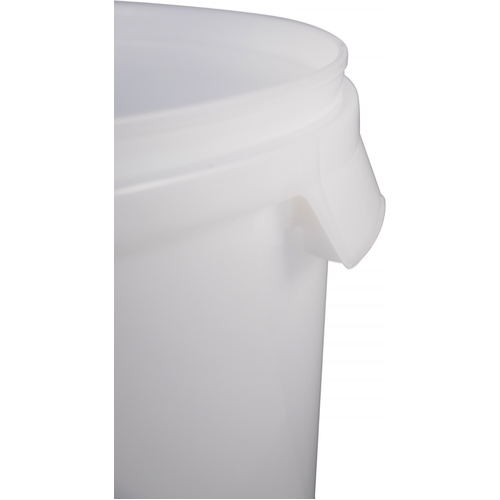 These buckets are made from polypropylene as it is less porous and significantly smoother than other HDPE fermenters. HDPE is porous and can harbor microbial activity making it more difficult to clean and sanitize. Being less porous, polypropylene also does not absorb aroma like HDPE so there is less flavor carry over from batch to batch.